Weather Defender is a software program that tracks weather in real-time with street-level accuracy. It works by connecting your desktop computer to a national network of radar and weather satellites and continuously scanning for weather threats. Life-saving features include: street-level tracking, real-time weather graphics, accurate warnings, watches, and advisories, and much more. Weather alerts can also be sent to your e-mail or mobile phone. Weather software that tracks weather in real-time with street-level accuracy. ...... program will activate 'Perimeter Alerts' which will give you, your family, or your employees time to prepare for whatever imminent weather is approaching. Personalized alerts and reports can be received via an on-screen computer monitor display, an audible alarm, e-mail message, or by SMS text to any mobile handheld device. Additionally, you may run Weather Defender any time of day or night for immediate access to real-time weather graphics, national and regional weather monitoring, and hyper-accurate and hyper-local forecasting. 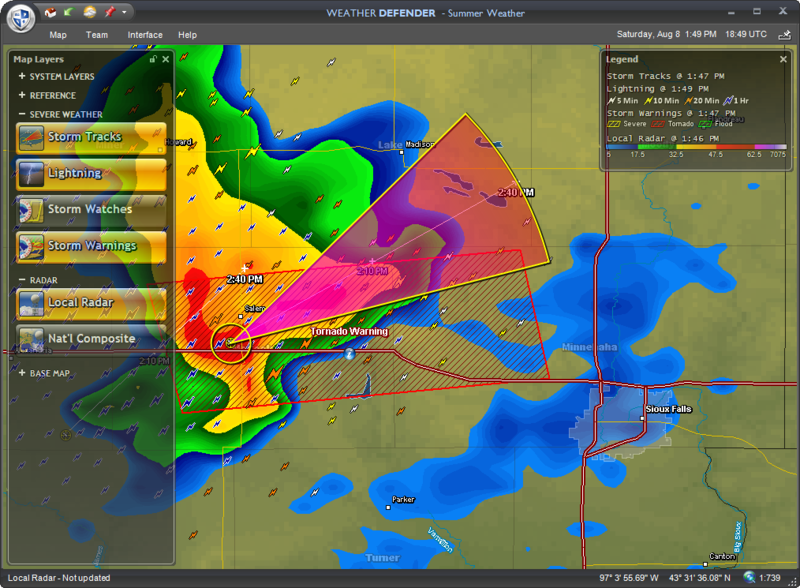 Weather Defender features a variety of different map layers, allowing users to customize their displays with several levels of details and data. There are season specific maps, which cater to specific weather conditions throughout the year, as well as lifestyle maps, which are designed to meet the weather-tracking needs of the outdoor enthusiast and hobbyist. Get the forecasts you want, when you want them, read aloud on your PC! High-quality arcade with excellent graphics and breathtaking gameplay. Qweas is providing links to Weather Defender 1.1 as a courtesy, and makes no representations regarding Weather Defender or any other applications or any information related thereto. Any questions, complaints or claims regarding this application Weather Defender 1.1 must be directed to the appropriate software vendor. You may click the publisher link of Weather Defender on the top of this page to get more details about the vendor.